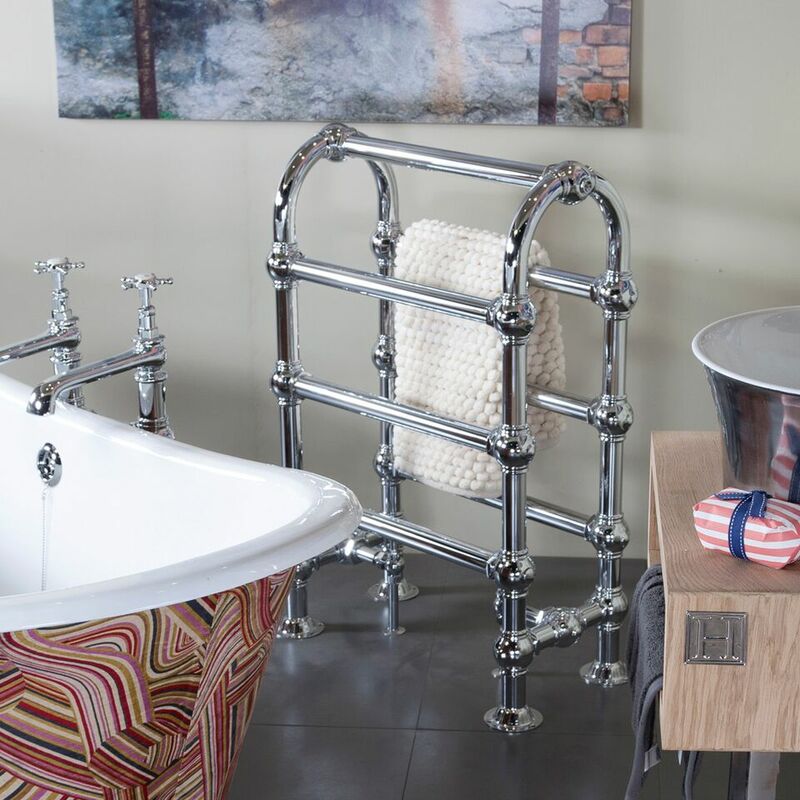 Add warmth and character to your bathroom with a traditional Victorian style heated bathroom towel rail. Here at UKAA we supply the extensive range of Carron bathroom towel rails. Whether you prefer wall mounted, free standing or ladder style. All are available in high quality chrome, nickel or copper finish. Some come with an integral radiator in cast iron which can be painted in the colour of your choice. To view the full range please visit our website. Heat your bathroom and warm your towels while adding character to your room with a traditional Victorian style heated bathroom towel rail. Here at UKAA we supply an extensive range of Carron bathroom towel rails and towel radiators. Whether you are looking for wall mounted, free standing or ladder style, all are available in high quality chrome, nickel or copper finish. To view the complete range please visit our website on the link below.